Hi, I'm Steven Dao. I'm a software engineer, current living in San Francisco. I graduated with a Bachelor's in Computer Science at the University of Houston in 2014. In October 2016, I decided to leave my software position at JPMorgan Chase and move to the Bay Area, where I could pursue my passion for technology. I develop with Python and Java, and have developed on distributed backend systems and have created full-stack web apps. I'm excited about working on technically challenging problems, and I am especially interested in challenges involving optimization and scaling an application from dozens of users to millions. I also love working with large sets of data! I have spent nearly 5 years hacking away at code and creating projects on my own time. I've created a web crawler that downloaded and analyzed millions of data points daily. I've also created a search engine for companies in Silicon Valley and other major cities. 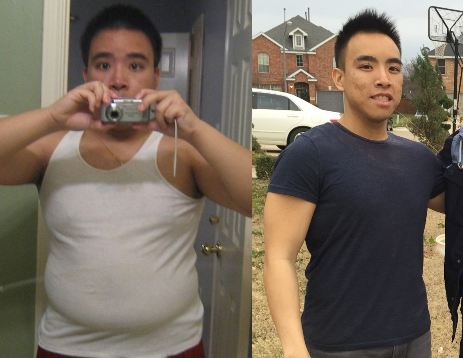 I've spent a good half of my life overcoming obesity and have lost more than 100 lbs over past years. I even recorded over a decade's worth of data! Dedicate yourself to your learning, your passion, and your goals, and the possibilities are boundless.